Our loving Mother is here. God’s comforting presence is at the ready to lead you home to safety, nurture you to health and strength, and set you forth to be productive and happy. Release your sense of human struggle, ego-driven pride, and willful control. 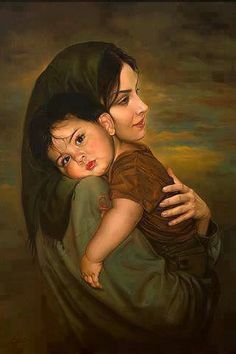 Accept your status as child to a Mother Who is infinite Love. Let Her tenderness embrace you and Her assurances show you why you are secure, cared for, and not left alone to carry a life forward on your shoulders. We all have moments of fear and feelings of failure or disappointment. These times don’t need to be ones where we judge ourselves and wallow in pity or doubt. These can be occasions to recover, renew, and begin again with the fresh eyes of a child. We can take these opportunities to receive comforting Love. We can willingly listen to the divine Mother’s voice, one that is never condemning, but powerful in kindness, wisdom, and ready with peaceful lullabies. Feeling this mothering love of God is a time for celebration. For this divine Mother is not only giving you Love, She is also giving you Life—gently calling you forth into a world of new ideas and enthusiasm, just right and perfectly prepared for the child of God that you are! This entry was posted in Daily inspiration and tagged Christian Science, comfort, doubt, kindness, Life, mercy, Mother-Love, opportunity, peace, release, renewal, restoration, struggle. Bookmark the permalink.